A lover of poetry, abstract and realistic painting, music, good writing, languages, Italy, photography, holistic therapies, natural lifestyle and fully living the moment. I’m curious about everything, from plants to Alternative ways of thinking and living, such as the works of the Biologist Bruce Lipton or Dr. Wayne Dyer’s philosophies. The sole purpose of this blog is to share wisdom, philosophies, natural recipes, art and photography with people who are receptive and aspire to a better life. Giving them the opportunity to appreciate its natural beauty. And Instagram account at Life_paintings). 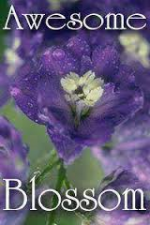 I would very much appreciate all visits/follows/likes. I am now using those tools to expose my work in paintings and photography. 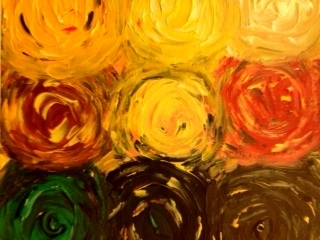 The material in this blog as the paintings, photos, recipes and writings I own and are copyright. Please do not use them for another blog (neither re-blogging) or any other purpose. Unauthorized use, distribution and/or duplication of any of the other material without the express written permission from this blog’s author is strictly prohibited. You are extremely talented in multiple areas! Great Blog. 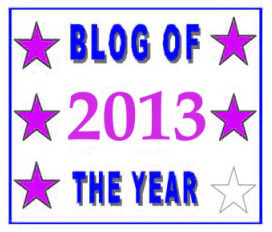 I’ve nominated you for the “Blog of the Year” Award. 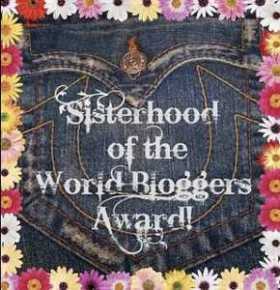 To see the nomination, visit the post: anotherlovelyday.wordpress.com/2012/12/26/thank-you/. I hope you have a wonderful new year! 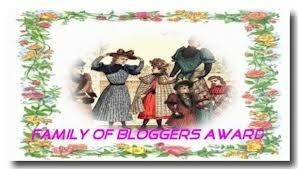 I’ve nominated you for the “Family of Bloggers” Award. 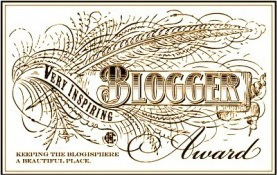 To see the nomination, visit http://anotherlovelyday.wordpress.com/2012/12/13/overdue-thank-yous-awards-and-a-little-winnie-the-pooh. Thanks so much for your friendship and followship. Wow! I truly feel honored. I am going to look up the conditions. I have no idea how we nominate others and therefore have never ventured into nominating another. It seems very complicated to be able to put a link, give direction, notify and nominate further. Thanks! I appreciate the time it takes to organize all that. Thanks for going on my blog too, 😉 it’s so good to be inspired by another’s talent. It is indeed very refreshing for me too! Your Gravatar does not send people to your wordpress blog because there is a letter missing from your name. Instead of oawritings, it says oawiting (missing the r) I thought you would like to know so the world can find you! I just surfed in, purely by accident and read some of your stories. Loved the picture of the Lioness of course and The Cove. We are all travaille hard to make a bonne vie! Please forgive my terrible French,,,I was not a good student in this class….but I love using the words I do remember! I too lose myself in my creative endeavors hoping my creations will speak loudly enough to be understood and recognized for their “genius”. The creativity I have discovered on the internet reveals skills beyond my level, yet I still hope. Creating is a wonderful, peaceful place. Writing, too. Thank you for stopping and following my blog today. I am looking forward to following your. There appears to no shortage of wonderful prose, poetry, and visual imagery you are sharing. Hello and Many thanks for following Dreamwalker’s Sanctuary.. I am just catching up on my new followers… You have much talent both in your writing and your art work..
You have created a lovely blog site here.. I appreciate your prodigal praise, it truly means a lot, feedback is what keeps us going and believing in what is most close to our heart. What an abundant list of interests! Thanks for following my blog this week. Hi oa, Thank you for following my photography blog. Hope you enjoy. Love what you’re doing here. Will look forward to seeing more. I am happy you enjoyed “leafing” through… Positive feedback makes it all worthwhile. Thanks for the recent visit to (and follow of) my blog. It brought me here and I’ve been enjoying the eclectic set of posts. I took particular note of the video of Big Sur that you posted a couple of weeks ago. I’ve been to that specific location, once. McWay Falls is located within Julia Pfeiffer Burns State Park, but there’s very limited access to views of the waterfall and the entire cove. The video provides an entirely different perspective. I was at this location just once, roughly 15 years ago, when I was still in the developmental stages of becoming serious about photography. I do hope to go back one day in attempt to do the place visual justice–something I completely failed to do the first time around. Wow! Thank you so much for all that information 🙂 I do realize through your past experience and other videos on You tube how reality is very far from the views presented to us from professionals working on premises. It can be a big disappointment for tourists arriving to the idealistic spot they were prepared to see. Thanks for sharing your knowledge, I appreciate the effort. Hi, thank you for visiting my blog. I am enjoying the beauty of your pics and paintings. Beautiful place you have here! Thanks for visiting The Brass Rag. Come back and see us again soon. Thanks for visiting my blog, all your likes and your very generous comment about my work. I’m looking forward to perusing your blog more thoroughly, but I love what I see so far!! Thanks for dropping by Ironwoodwind. I’m curious as to how you found my post. Tags? Good fortune for me? I think so. 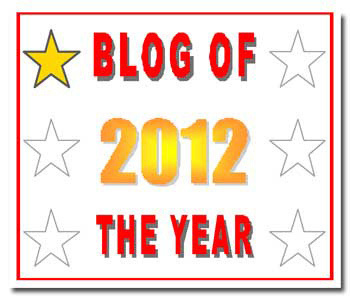 Looking forward to exploring your blog. I usually find bloggers what they call with-similar-interests on the right margin of mine. Thanks for taking an interest & liking. 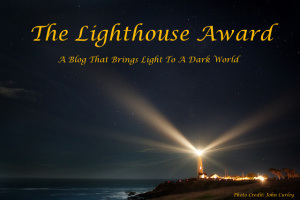 I’m honored and grateful that you have thought my blog worthy of the sunshine award. Thanks for visiting my blog and for liking my posts. You have a lovely blog. I managed to see only one painting, which is beautiful, the other posts of paintings are not available, or I just don’t know how to access the post. Your photos are beautiful too. My pleasure! I’m looking forward to seeing your restored painting section. Sorry to bother you, but I’m hopelessly technologically challenged, and every time I’ve come to your blog, I can never work out where to press the following button. What am I missing, please? It makes me laugh when people say this because I’m not a technological person in the least! But this I do know just for having done it so many times for others. To my young experience, when I like a post a written sign comes up asking “do you want to follow?” something like that…and all you have to do is push on that. I hope that’s how my blog works too 🙂 good luck & thanks! Thanks! Wow, what an encouraging comment… I hope to go on working on my writing & painting passion among others. Nurturing what we love is indeed the kiss of life. You have a great blog here, just continue the great style. Thanks for your like, really appreciated. You just got a new follower. Thanks for visiting. Your photography is lovely! I hope you will accept these.. . Thanks for visiting,commenting & liking…you have my appreciation. Thanks for visiting Virginia Views! I so appreciate your comments and look forward to reading more of your posts too. Thanks for the like. Enjoyed looking through your shots…also just did some Paris, Jseyeon.com. , so especially enjoyed. Will be following. Thanks again. Of course you never have to accept an award, just know that you are appreciated! I think they are but I can’t swear. I thoroughly enjoyed that outing, I believe that if you do what you love it’s bound to be felt through (the photography or writing) and I was grateful it did on this post… as we are never sure how the reader will react. Recognition is something that came very slowly by as I don’t have Facebook, Twitter etc…but it builds up along the way with a bit of patience. Wishing you a very good week! Thanks Kamila for following & commenting! In my before-last post I just let know my followers that I’m taking off to support my kids in exam times then, we fall into summer holidays so, I’m taking a break until then. Wishing you a very pleasant summer! You are welcome, much appreciation for reciprocating. Isn’t he amazing?! I find he touches the thoughts & subjects that preoccupies everyone’s mind, each one can find himself in his jokes. I think the greatness of an artist is to make people laugh at themselves & turn the sad or tragic into happiness. I pinned one of your pastel paintings, and quickly removed it after reading this! I so admire your work and respect your wishes concerning sharing it. I am not familiar with the term “pin” but if someone re-blog’s a post with my link or mentions my blog & puts my link on theirs I’m OK with it, I just wouldn’t like my work to be taken for someone else s, it should be mentioned in the post & they should be able to click on the image with my link visible on it. I truly appreciate your honest attitude, it is the way I try to live on a daily basis. So, go ahead & re-blog if you wish with the above directions, I’d appreciate that. or maybe an online art selling facility so, a bit of publicity can only be a good thing! Thank you for liking a blog post of mine! This lead me to your cool blog here! You have an amazing blog too! I must have liked a post of yours that someone I follow re-blogged no? Beautiful work, very inspiring. One day I will return to my love of Art. Maybe when I retire. Thank you for the feedback and all the likes.